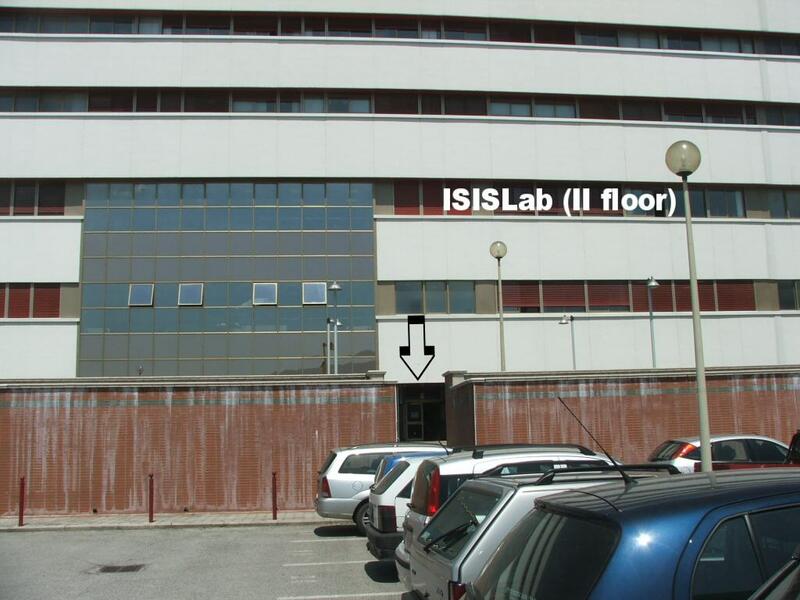 Here we provide some details on how to reach the ISISLab at the University of Salerno by car. You can visit Google Maps for an interactive map. If you drive from Naples to the University of Salerno, you better take the Caserta-Salerno (A30) Highway in direction Salerno. 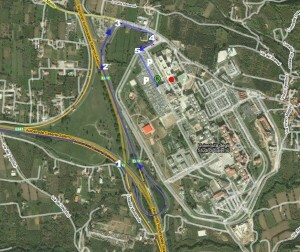 After the toll plaza at Mercato San Severino, in 4 km, take right towards Avellino (1 on the map). Right after you reenter the highway from the ramp, take exit FIsciano (2 on the map). 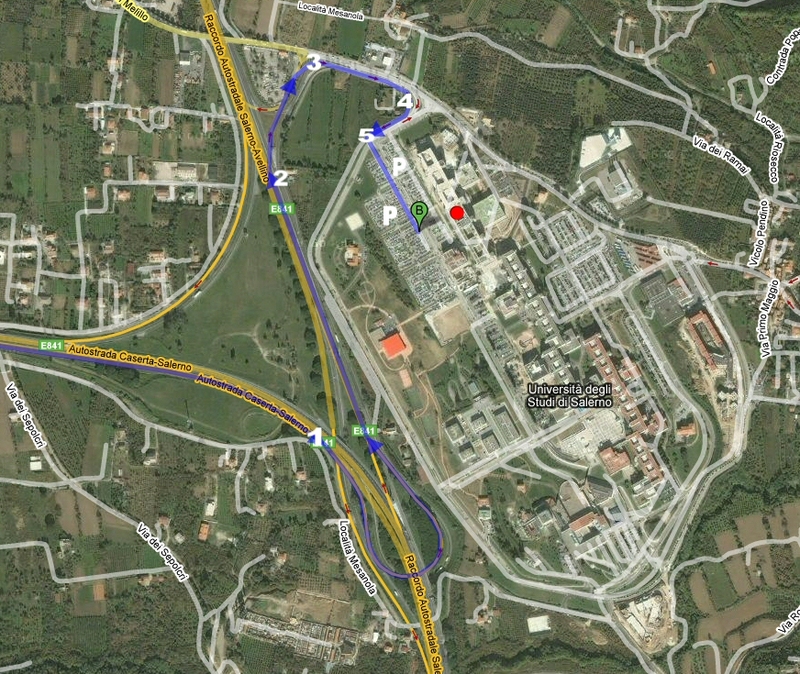 At the exit, turn the first right, still on the ramp, in direction “Università” and follow it (3 on the map). Then you are brought into the campus (4 on the map). Take the first left (5 on the map). You will be passing several parking places: the first you encounter on the left, and all the places on the right hand side are free parking. 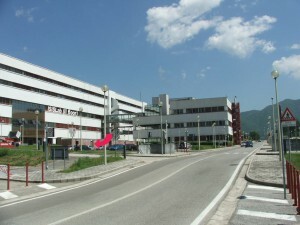 The building on the left (close to the one that is still in construction) is the Facoltà di Scienze Matematiche Fisiche e Naturali (building “Stecca 7”), where (on the second floor) you can find the ISISLab (red dot on the map). From Salerno, you take the highway in direction Avellino and take the exit “Fisciano” (2 on the map) and then follow the directions above. 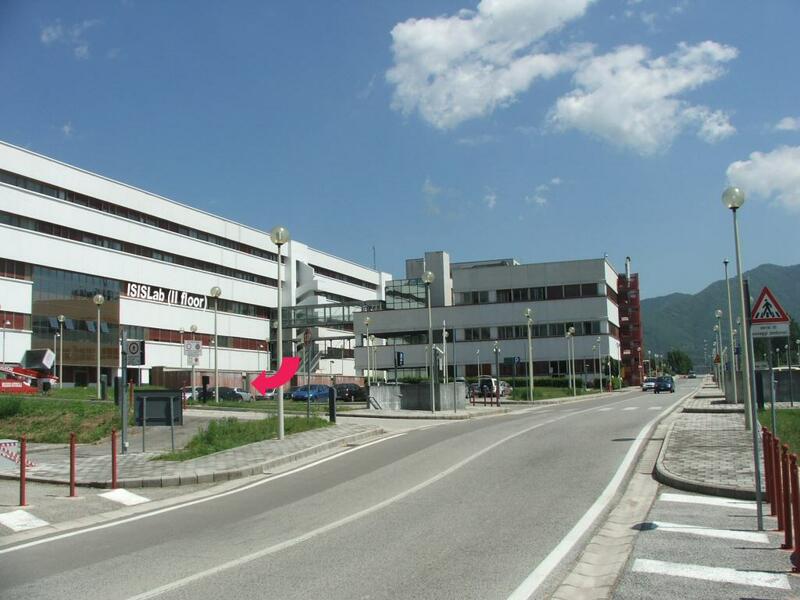 Be careful: from Salerno there is an exit “Università” that brings at the other end of the campus. It is more convenient and simple that you do not take this exit and take the next one (following direction Avellino) with name Fisciano. Take the highway in direction Salerno. Take the exit Fisciano and turn left at the exit. Then you’ll pass over the highway and you will be at point 3 in the map above. Then follow the instructions as above. Enter the building as indicated by the red arrow on the picture below, follow the corridor straight to the elevator/stairs, and go to second floor. 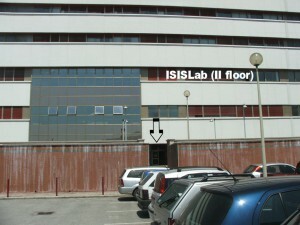 Pass the double set of doors and the ISISLab is on the corridor to the left (rooms 9 and 10 to the right).